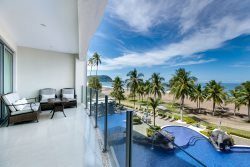 Lost Beach Vacations is Costa Rica’s premier vacation rental management company located in Jaco Beach, Central Pacific Side. We represent the very best beachfront properties in the Jaco Beach rental market. Please contact us today if you are planning your Costa Rica vacation. We’re here to help you create your memorable Costa Rica experience.